The weather outside was fresh but inside St John's College it was warm and welcoming as our Toastmaster Dianne led us in "A Fresh Start" for 2014. The word of the day was "ambivalence" although people showed little of that as they shared their fresh plans for the year. Irina got to the point in her third speech as she shared her journey to become Canadian. The club appreciated her humour as she shared her family's preparations to pass the citizenship test. Many in the audience were wondering if they could answer the test questions correctly? Why not give it try at http://www.v-soul.com/. Congratulations Irina for earning your Canadian citizenship! The impromptu speaking segment of the meeting asked participants to share tips on how to be successful in making a fresh start. UM Masters was thrilled to hear from two of our guests. Yvonne, a past member making a fresh return to the club, gave some excellent advice on how to set goals and achieve them. Geethika, a guest from the IEAP program, shared the importance on being clear on your definition of success. The evaluators - Dinesh, Cathy and Danielle - provided helpful feedback giving all participants a way to improve along with many examples of what was done well. Nidish gave us an excellent word of the day, Nicole helped us identify our crutch words and Pegah kept us on track with our time. The meeting ended with a quote from Oprah Winfrey, "I want every day to be a fresh start on expanding what is possible". UM Masters is embracing this philosophy by making it possible for people to expand their listening, thinking and speaking skills every Wednesday! 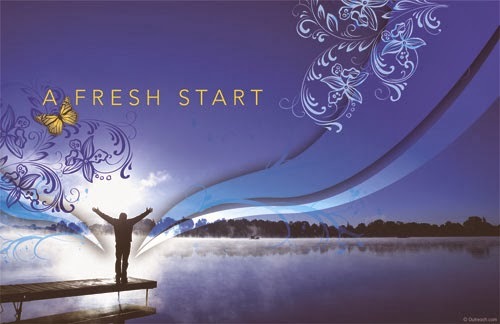 Come join us if you are ready for a fresh start. Try Toastmasters – the proven way to grow your communication and leadership skills. If you would like to take part in a UM Masters meeting, we’re located in Winnipeg at the University of Manitoba. Our meetings are held every Wednesday from 12:05 –12:50 PM in Room 111 at St. John’s College (which is part of the University of Manitoba).